The Company | VerMoTec - Nr. 1 in der Löttechnik - weltweit! 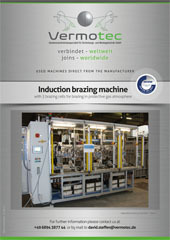 Welcome to the world of Vermotec! 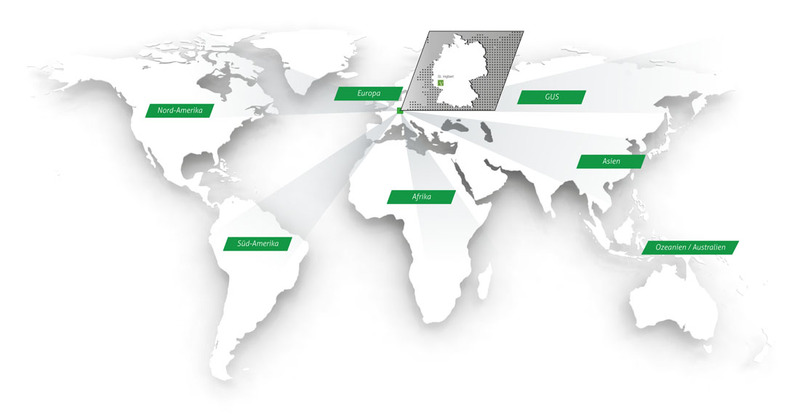 As an owner-managed company with its head office in St. Ingbert (Saar region) and German production, we are your competent system supplier when it comes to soldering and brazing technology. 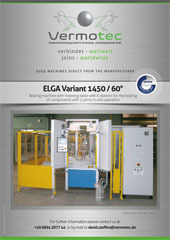 Worldwide, well-known manufacturers rely on machinery, services and automation concepts from Vermotec..
With highly-qualified engineers in the development, highly skilled and trained technicians, masters and other skilled craftsmen in the production as well as in the sub-contract soldering and brazing department we are excellently positioned for your challenges. We develop process concepts for automation, design and manufacture complete plants (-concepts) and deliver the necessary solders, brazing alloys, fluxes and spare parts. We have a powerful and capacity-strong sub-contract soldering and brazing department, provide a comprehensive after sales serviceand support you in the process development right up to SOP (start of production). Our many years of experience in these areas also flow into your workpieces. More than 80 highly motivated employees are at your disposal with their knowledge and experience resulting from the production of over 4,000 machines. Vermotec – No. 1 solution provider in the automatic soldering and brazing technology. As a strong and reliable partner to the different industrial sectors, with various requirements , we have developed into a leading international specialist for joining and assembling with emphasis on soldering and brazing and so established on the world market. Our high production and performance depth is reflected directly in the quality of our machines as well as in the sub-contract soldering and brazing department. There, we join small, medium and large series of our renowned customers. Of course we have also been certified according to DIN EN ISO 9001 : 2015 and this since 1998. Our Machines, the solders, brazing alloys and fluxes as well as the service are always in demand when the highest technical requirements are made.